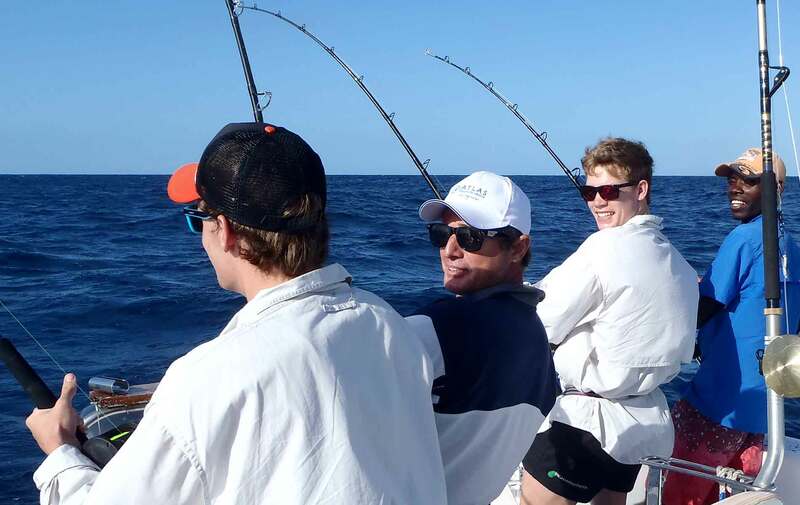 What would you like to fish for today? 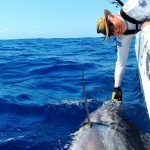 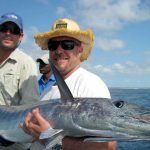 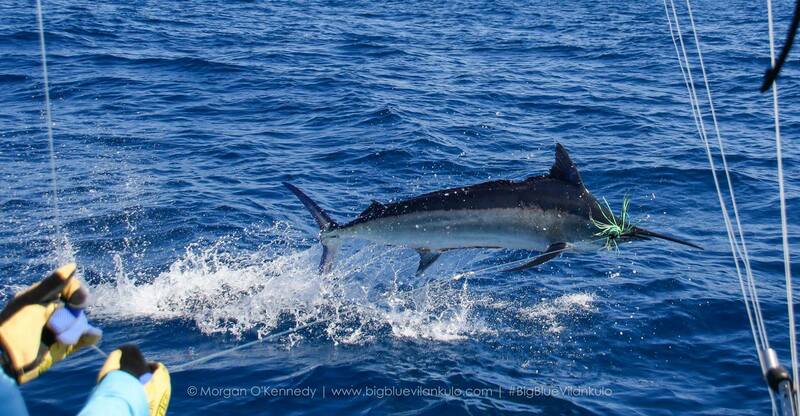 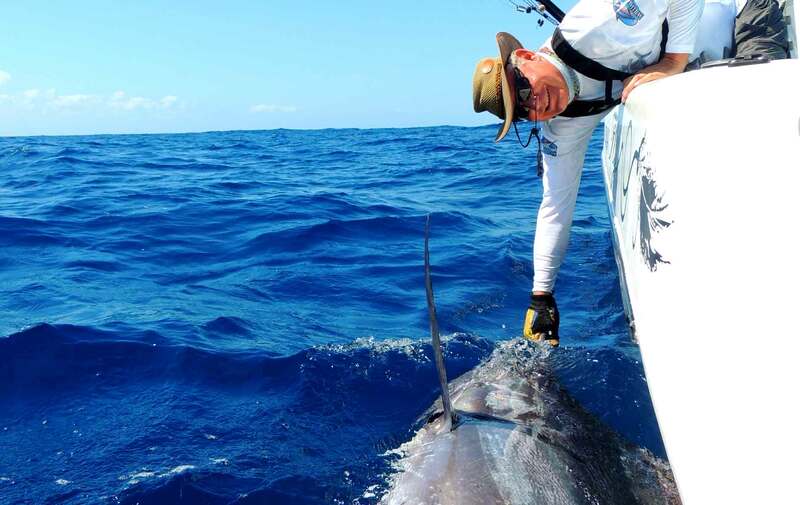 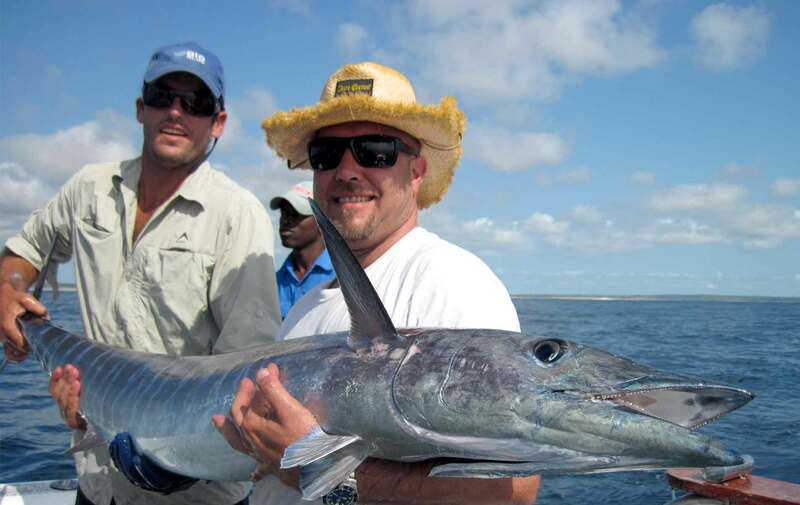 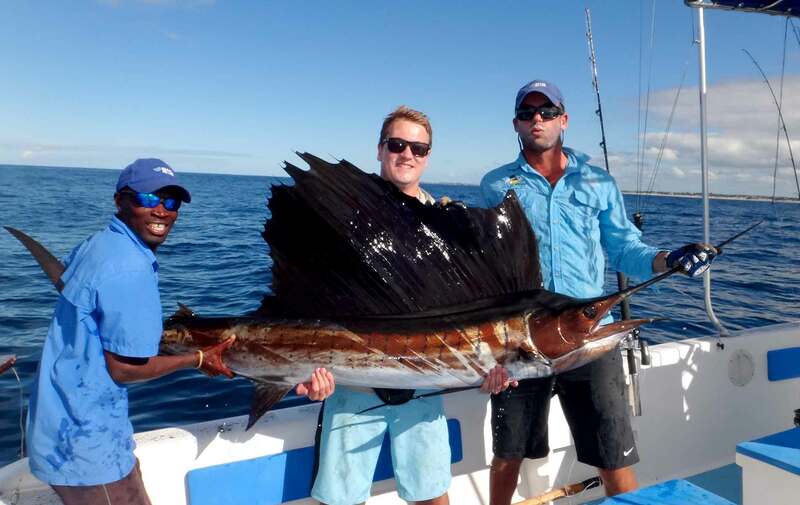 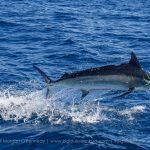 Big Blue is one of those special Mozambican charter operations that has the ability to offer everything from targeting Billfish, popping for GT's, Flyfishing and everything else in between. 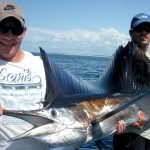 Morgan has been around a long time, and is one of the first guides I would recommend to anybody wanting to fish in Mozambique. 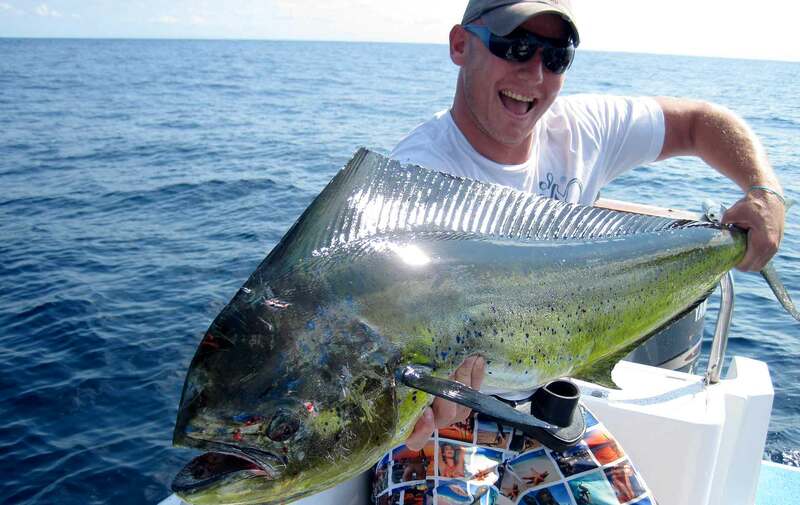 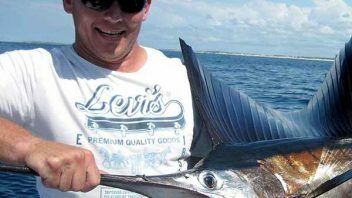 A trip with Big Blue is a guarantee of lots of laughs, lots of great fishing, and an amazing all round Mozambican experience! 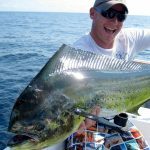 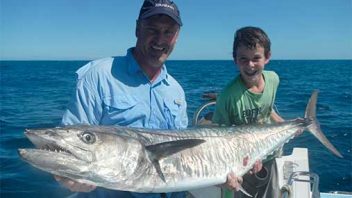 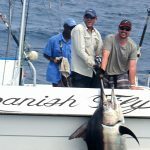 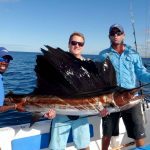 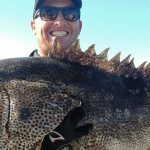 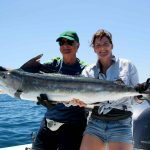 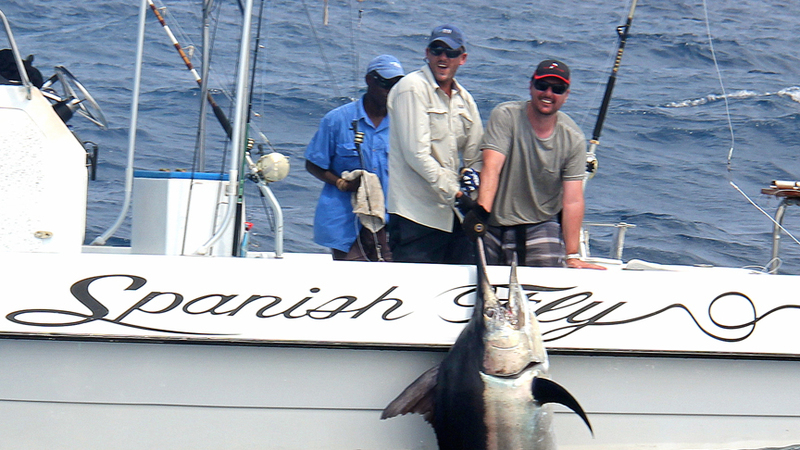 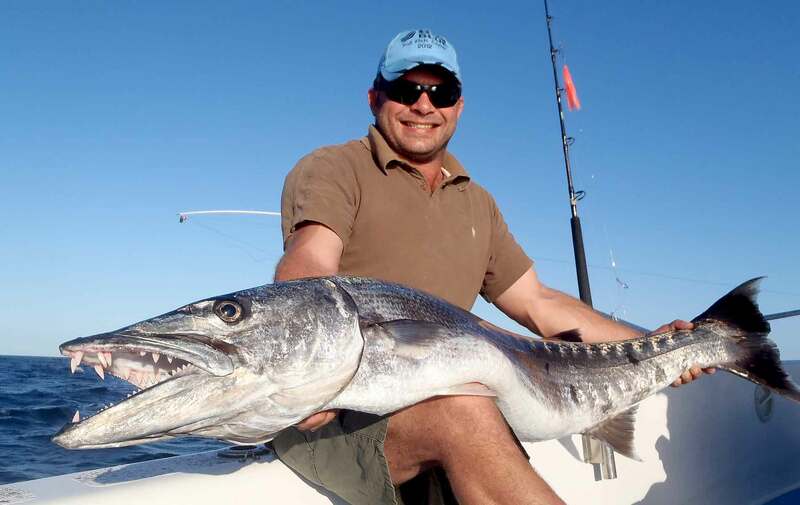 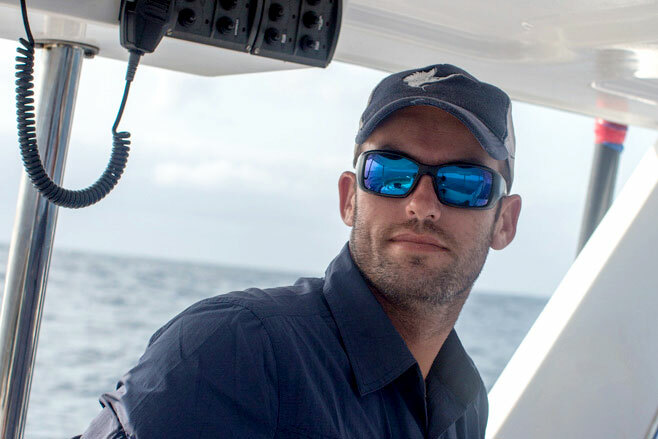 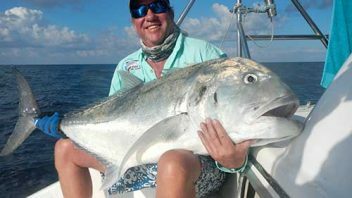 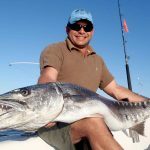 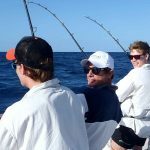 Morgan O'Kennedy has been a professional fishing guide for the past decade, his knowledge of fishing the Bazaruto Archipelago is second to none. 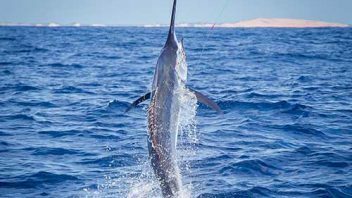 Spanish Fly is a 25ft Magnum walk around (built by Two Oceans Marine in Cape Town, South Africa) powered by twin 150 H.P YAMAHA engines. 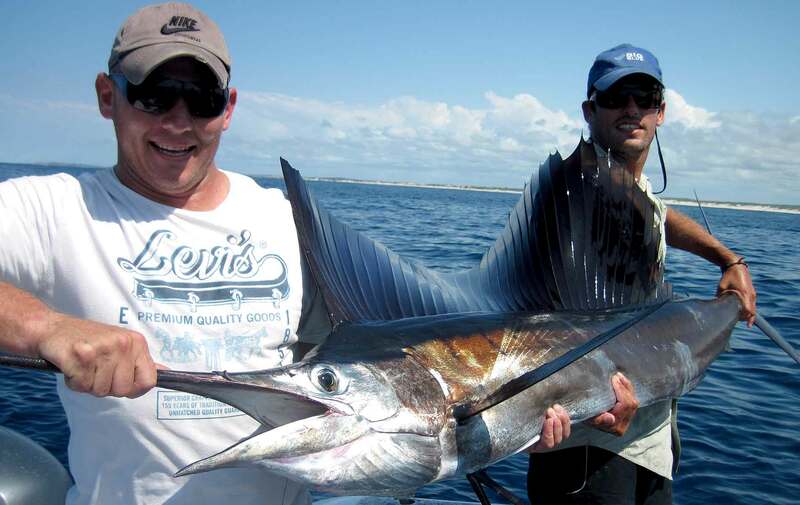 She is a fishing machine ideal for the Bazaruto Archipelago. 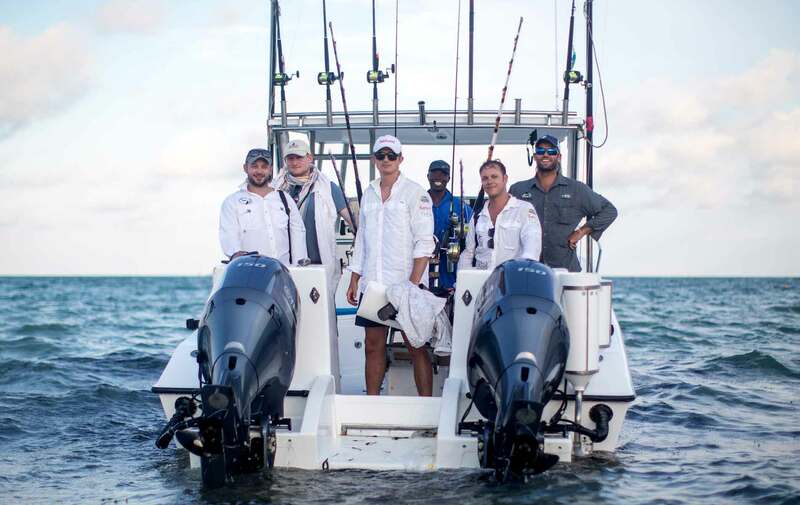 Equipped with the latest gear; Garmin Plotter & depth sounder and Mallards 21ft stiff outriggers. 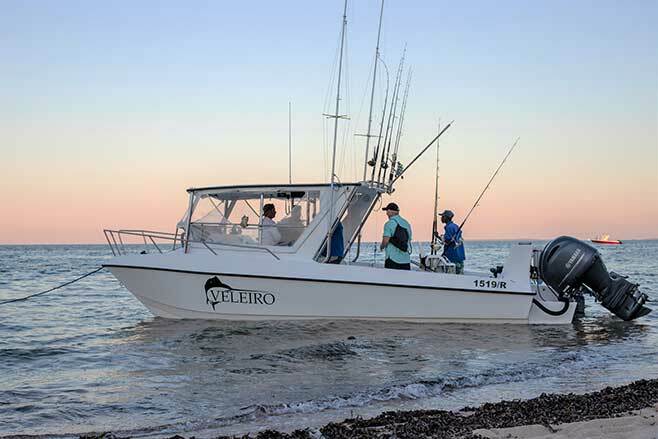 Veleiro is a 29 ft Nova Cat with a clean, open and practical deck which is an ideal trolling platform. 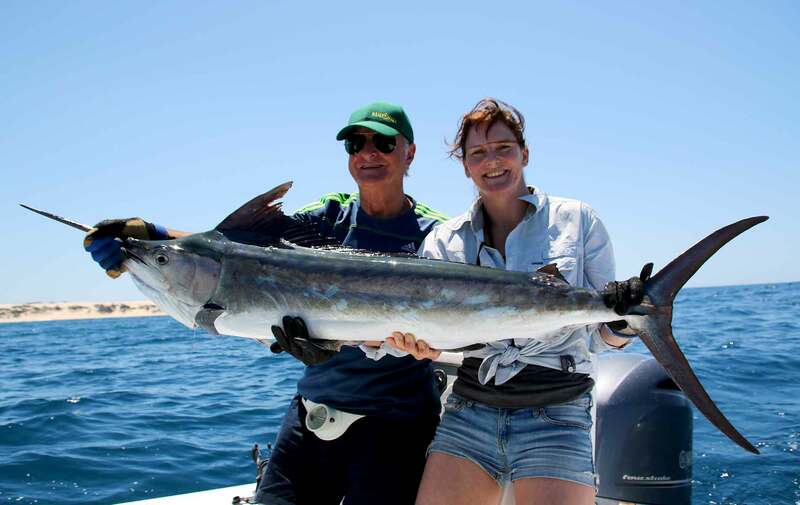 She has been meticulously rigged with some of the best equipment available. 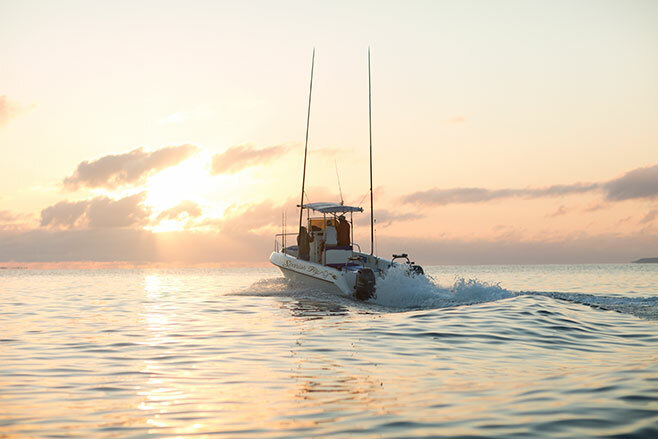 She is powered by twin 150 H.P YAMAHA engines with a cruise speed between 21-24 knots. 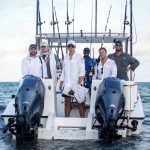 Veleiro is fitted with Garmin Echomax Chirp plotter & depth sounder, Mallards fighting chair, Schaefer outriggers and luna tubes.